The Federal Housing Finance Agency has released an index showing that mortgage rates have decreased from June to July. The average interest rate on all mortgage loans is down 7 basis points, while the effective interest rate on all mortgage loans was down 6 basis points. The average loan amount was also showing a decrease of $8,200, to $325,700. 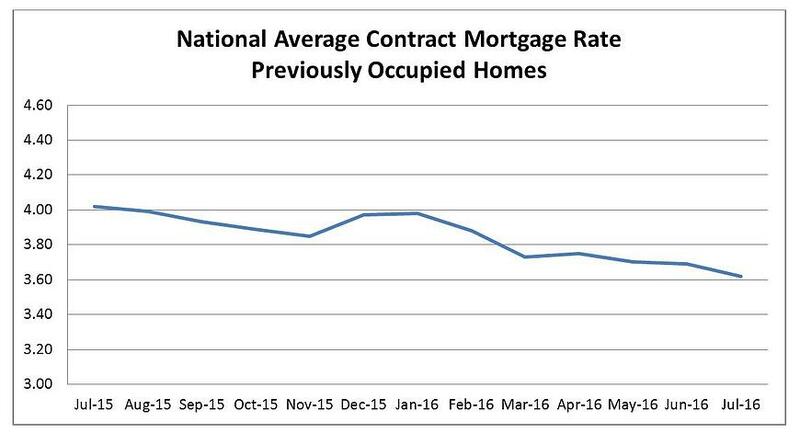 The national average contract rate for purchases of previously occupied homes was down 7 basis points to 3.62 percent. The average interest rate on conventional, 30-year, fixed mortgages of $417,000 or less was down 8 basis points to 3.80 percent. The indices are based on a monthly convenience sample survey of lenders and does not include government loans. Values for the month of August will be released on Wednesday, September 28, 2016.